As you may have seen from my Birthday Wishlist post, I was really really hoping to get the infamous DiorRosy Healthy Awakening Glow Blush. This little beauty just had to be finally mine after probably a year of lusting after it. Rosy Glow comes in only one shade – 001 Pink Petal and it is supposed to be a perfect match for any skin tone. It has a really cool formula, which actually makes the color adapt to your skin and to enhance its natural color. After a few times of me wearing it I think it’s safe to say that it does exactly that and it compliments and brightens up my skin beautifully. 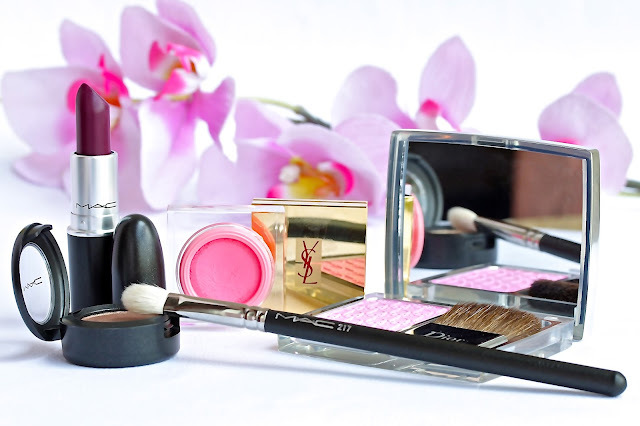 It is really easy to apply, just pack some color on a blush brush and sweet it across your cheeks and it will add the most gorgeous healthy glow to your face! :) Oh and also, it has a nice rose scent to it, which I love. Onto my MAC picks, the first thing I got from them is my absolutely favorite lipstick of all time – Rebel. As you may have heard me complain two weeks ago, I left my old one in my car and it melted! Silly me!! :( That being said, I definitely needed to pick up a new one and now I am a happy owner of a brand new Rebel lipstick. Eeek! Rebel is this gorgeous deep, rich fuchsia berry color, which has a nice glossy finish. It is quite pigmented and applies easily. What I also love about Rebel is that it’s not as drying as many other MAC lipsticks, which is a huge bonus for a girl with such dry lips like me! 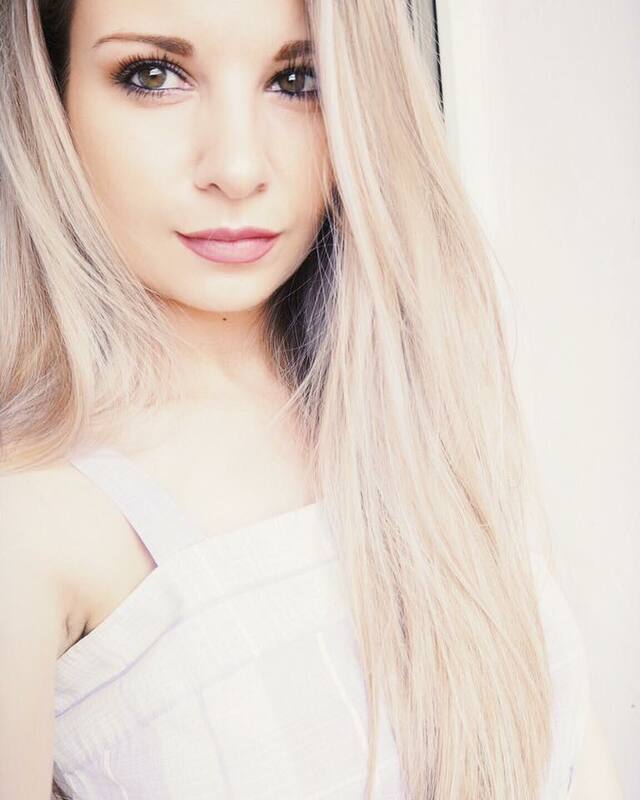 :) If you’re looking for a new lipstick and you are into such shades then I couldn’t recommend Rebel enough – it’s beautiful and definitely my go-to lipstick! Rebel was a big favorite of mine! I need a 217 in my life - I heard so many great things about this brush! everything looks so lovely! i love the sound of the dior blush and i really need to get a 217! When I was buying my YSL Touche Eclat Foundation the woman used a little of that blush on me and it was sooo beautiful! Wishing I had bought it now :( Great post! I love the look of rebel! that would make a stunning autumn/winter colour, its stunning! you got such beautiful things !!! the blushes are awesome ! I love Woodwinked - it's a gorgeous shade and I couldn't live without a 217 brush! Woodwinked is the only MAC eyeshadow I have hit pan on! I love applying it with my 217 brush on the lid,crease, and lower lashline. Just add some eyeliner and mascara and you are good to go! 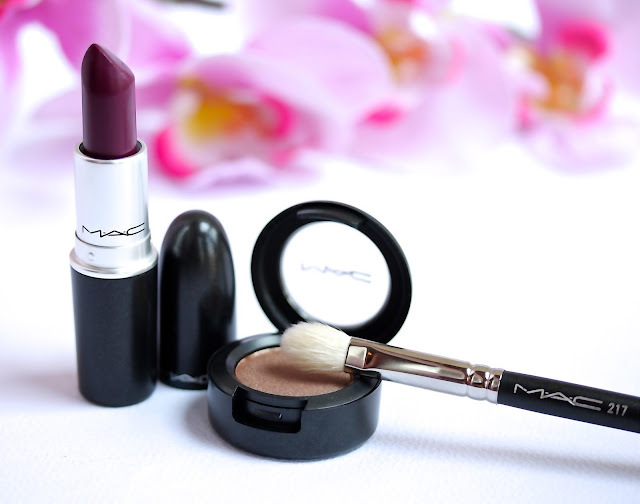 My other MAC favorites include Satin Taupe, Expensive Pink, Sumptious Olive, and Cranberry. Have you ever tried Makeup Geek eyeshadows? I just bought two and they fit perfectly in my MAC palette. ah fab haul and photos are gorgeous lady! I just bought my second 217 brush as well, they're a god send! 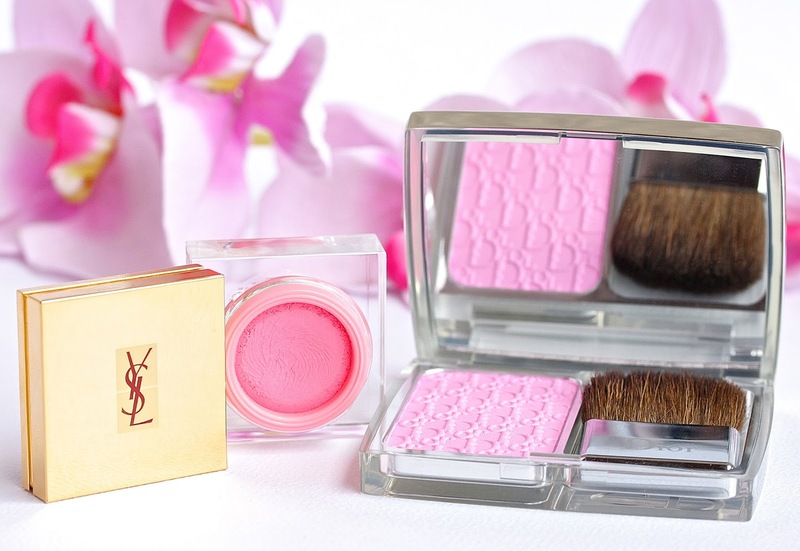 I also have a YSL cream blush it is amazing! I love woodwinked the Dior blusher looks gorgeous! I've only just started my MAC eyeshadow collection, but Club is my absolute favourite so far! Ahh you got some lovely bits. I have been lusting after that Dior blush for so long, it's so pretty. Whenever I've seen anyone wearing it it just looks soo natural and lovely! I have two 217's because I love them soooo much!! I recommend Satin Taupe, Sumptuous Olive, Sable, and Humid! I've been going back and forth on Rebel... I'm afraid it will make my lips look small because it's a darker color. I'm going to try it on the next time I'm at the MAC counter. Lovely haul! Oh my lanta, this is an AMAZING haul. Super jealous of Woodwinked and the 217 brush! Those have been on my list for quite some time now! You def. need Satin Taupe, Naked Lunch, and Mulch! I think you'd really like those! Hi Guys, Purple Tomato is giving away sephora $10 Gift Card CLICK HERE Enjoy Guys! !